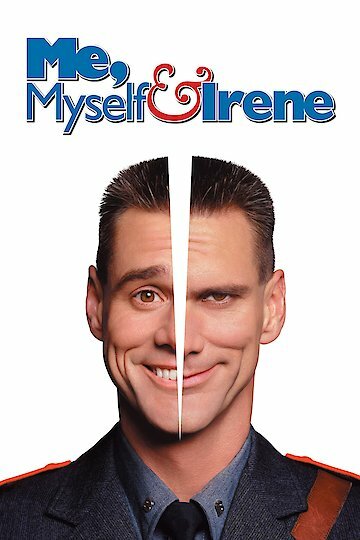 Me, Myself, I is a 2000 comedy movie. The movie was written and directed by Pip Karmel and stars Rachel Griffiths, Sandy Winton and David Roberts. Rachel Griffiths portrays two characters in the film, Pamela Drury and Pamela Dickson. The movie is one in which there are two scenarios being played out. Pamela Dickson is living in an alternate universe where she has been married to a man named Robert Dickson for 13 years. She writes articles for a ladies' magazine, but her marriage to Robert is very mundane, and she feels pressured with three kids and a job to deal with. Pamela Drury is in another alternate universe where she regrets her decision to focus on her career as a journalist instead of her relationship with Robert years ago. Now she is alone and depressed on her birthday, and she thinks about why she let Robert go more than a decade ago. Her mood is further worsened when she happens upon a man, Ben, whom she likes. She ends up following him and discovers that they will never be together because he has a family. When she is on her way back home, she is hit by a car which is being driven by Pamela Dickson. Pamela feels bad about having hit Pamela Drury, so she offers to take her to her home. The two women begin striking up a conversation in the kitchen. Pamela Dickson and Pamela Drury swap lives. Pamela sees that the road she did not take does not fit her lifestyle. The other Pamela finds the single life not to her liking, either. The underlying premise of the movie is that living with regrets is something that people should avoid at all costs. The two women both saw that the lives they had fantasized about really were not the ones that were for them after all. Me Myself I is currently available to watch and stream, download, buy on demand at Amazon Prime, Amazon, Vudu, Google Play, FandangoNow, iTunes, YouTube VOD online.